WITH OVER 60 000 competition entries received nationwide, KFC and Cricket South Africa are proud to announce the three KFC Mini-Cricket “Kids Join The Proteas On Tour” competition winners. The winning teams include; Amstelhof Primary School from Paarl, Nomandi Junior Secondary School from Port St John and Bayview Primary School from Helenvale, Port Elizabeth. The winning teams will have the opportunity to join the Proteas when they step up to the crease during their upcoming KFC T20 International Series against Zimbabwe in East London, Potchefstroom and Benoni in October. The anticipated two days with the Proteas promise to be full of fun and excitement for the lucky KFC Mini-Cricket kids who will each be immersed in a unique tailored experience ranging from an interactive training session to camping in the same hotel as the Proteas in the respective host towns. Thy also receive their official Tour kits to kick-start their cricketing adventure. On match day, the KFC Mini-Cricket kids will be led in a convoy and escorted to the stadium where they will participate in the official guard of honour for the playing teams. Additionally, the kids will perform some of the match duties including being ball boys and girls, the coin toss and thereafter, close off this once in a lifetime experience by being part of the official photos of the day’s festivities – making sure every special moment is captured forever! Thabisa Mkhwanazi, Public Affairs Director for KFC South Africa comments, “At KFC we are fully committed to the development of our country’s young cricketers. The KFC Mini-Cricket Kids Join Proteas Tour is a special competition, giving young cricketers a once in a lifetime opportunity to not only meet, but to rub shoulders with their Protea heroes before these KFC T20 Internationals Tour games. As a further commitment to developing cricket in South Africa, KFC will continue to utilise their T20 International sponsorship as a platform to further profile the KFC Mini-Cricket programme. In addition to introducing young boys and girls to the game, KFC Mini-Cricket is able to give kids in South Africa the chance to have fun, get active and to get closer to their sporting heroes. 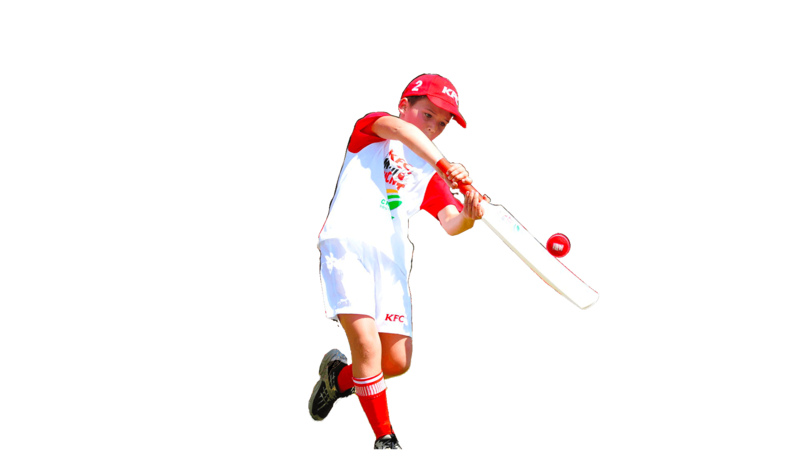 Since its inception, the KFC Mini-Cricket programme has grown from 89 000 kids to now over 120 000 kids getting active with over 5 500 schools taking part in the programme and coached by almost 10 000 volunteer coaches.